See our project profiles for current and past projects. View GMF’s capabilities and how we can assist with your project. 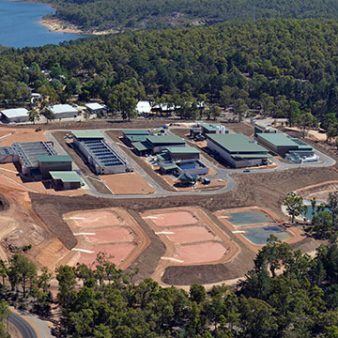 Established in 1969, GMF Contractors (GMF) are highly regarded as Perth’s leading civil earthworks contractor. 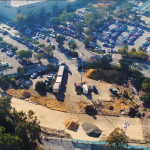 Specialising in commercial developments, government infrastructure works and residential developments, GMF is a family owned and operated business with 48 years’ industry experience. 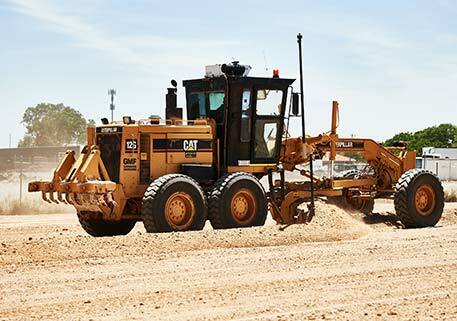 Our team is committed to delivering quality earthworks for Perth’s best infrastructure projects – large and small. Our growth is a result of our teams’ fundamental commitment to the professional delivery of earthworks services. We have built our reputation on our can-do approach and our determination to finding our clients the most valuable project solutions, combining innovation and excellence in the way we operate. Our clients recognise us for our committed delivery of our projects, and our old-school work ethic continues to fuel all operations. 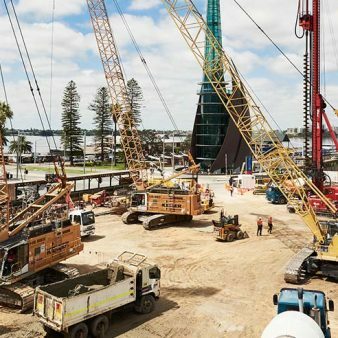 GMF is proud to have been part of the growth of our city over the years, with a vast portfolio of completed projects within the construction, commercial, civil and residential industries throughout the Perth metropolitan area. 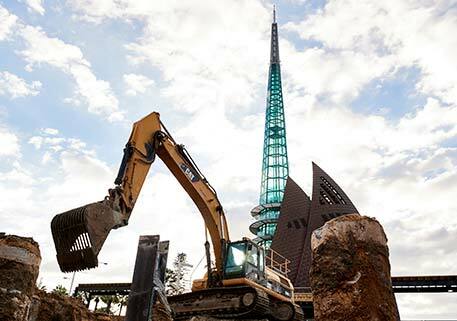 We pride ourselves on our extensive range of capabilities and 48 years' experience in the Perth earthworks industry, allowing us to be both an efficient and versatile leading provider of earthworks in Perth. As a result of our continual expansion, GMF has developed four key divisions; Civil, Construction, Residential and Transport, and while all four divisions align, they each have their own specialised personnel and resources. To this day we are still a hardworking and driven team. Our specialised, multi-skilled approach allows our experienced team to work closely with our clients across all stages of a project. 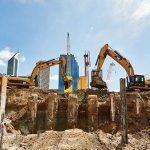 As a Director and Construction Manager of Ebuild Construction, I have been dealing with GMF Contractors on a professional basis for over 10 Years as they assist with all my earthmoving and specialised site work. 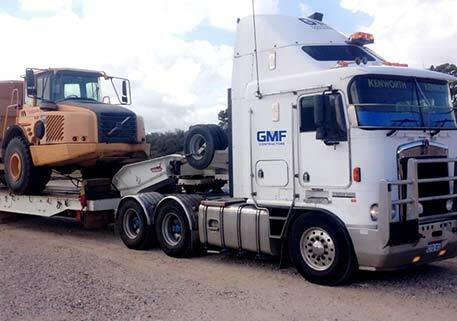 GMF Contractors have proven themselves as a reputable and distinguished earthmoving company within the Western Australian construction industry. 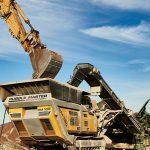 As they have the capabilities to provide the necessary machinery, equipment and support to tackle a wide range of site challengers. The operations team within the office always have a never fail attitude to ensure the job gets done and are willing to assist at all times. I have thoroughly enjoyed working with the GMF team and will continue to do so for many years to come. I personally have been working with GMF on a wide range & diversified projects for 20 years. On each of these occasions I have found GMF to be an extremely professional organization who provide excellent service in all aspects of earthworks. GMF’s focus on meeting schedule, budget and quality of works is a testament to the entire management team. I look forward to working together with GMF for years to come. 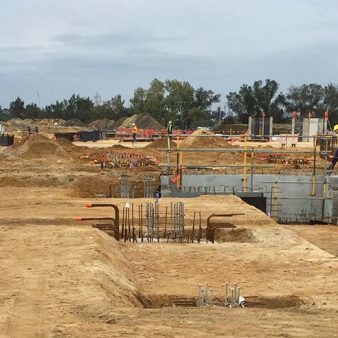 On behalf of Spadaccini Homes, we would like to thank GMF Contractors for their consistent efforts and aptitude to work in relation to our earthwork needs. It is seldom people receive the recognition and thanks they deserve for their hard work. In a difficult, challenging and competitive market we thank you for your competitive pricing and quality of work to date. GMF have always been there and willing to help through any circumstances that may arise onsite, very professional outfit. 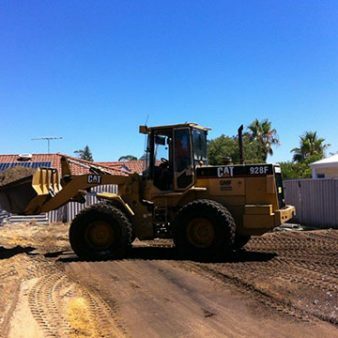 GMF Contractors (GMF) are a family owned and operated business with 48 years’ experience as Perth’s leading earthworks contractor. 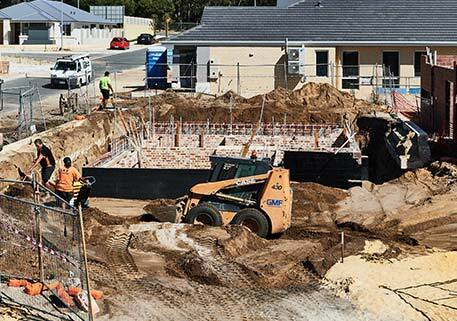 We specialise in commercial developments, government infrastructure works and residential developments.